If you read my newsletter yesterday (sign up here to hear all my news first! 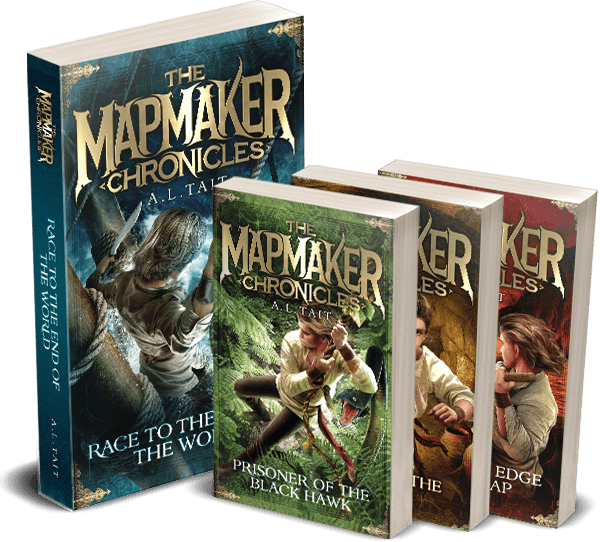 ), you’ll have seen the announcement that the first three books in The Mapmaker Chronicles series will be available in paperback in the UK from 6 April, 2017. 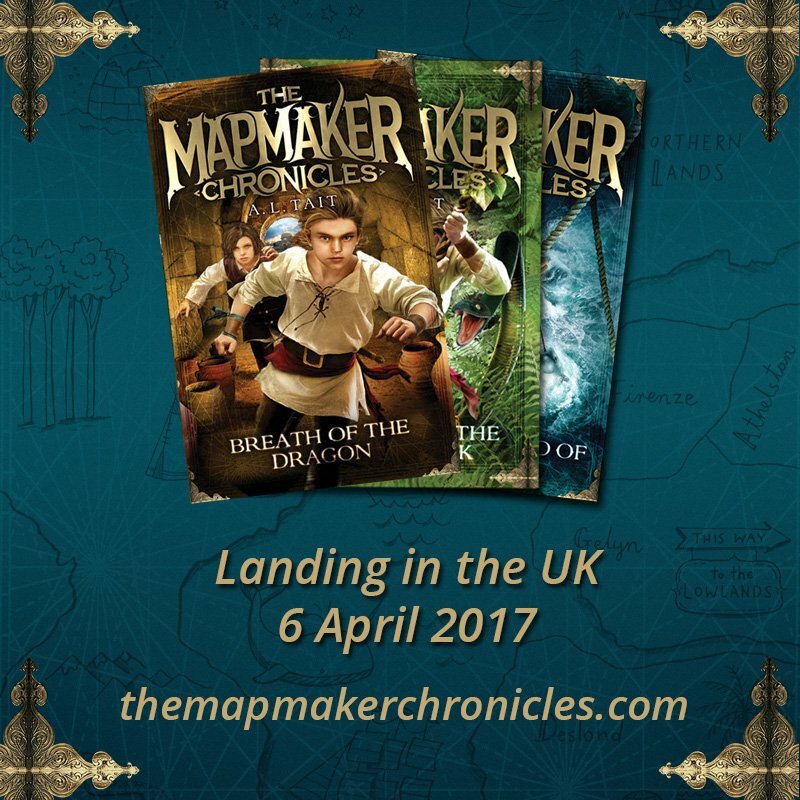 It’s unexpected and very exciting news and I hope the UK members of my community – and I know there are quite a few of you out there who follow the blog and the podcast – are as thrilled as I am! If you’re based in Australia or elsewhere and have friends or family in the UK, I hope you’ll help me to spread the word! 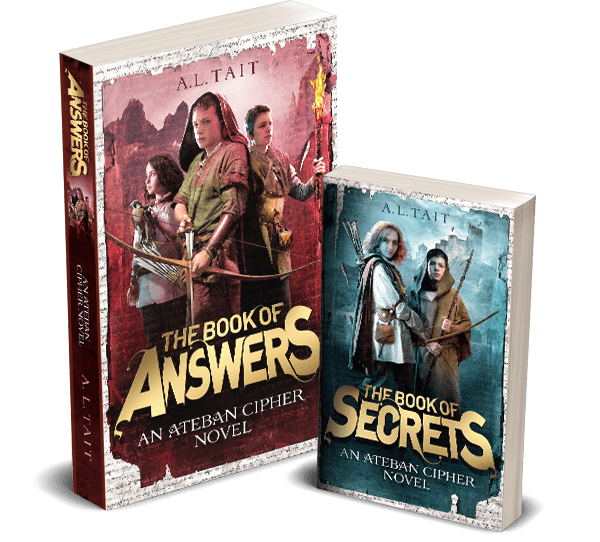 or you can order through your local bookshop, or direct from the publisher. I’d love to see your shelfies! 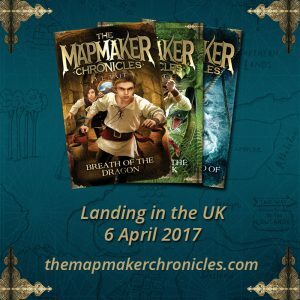 Please share with me on Twitter or Instagram using the hashtag #mapmakerUK, or tag me on Facebook. Happy travels Quinn and Co!